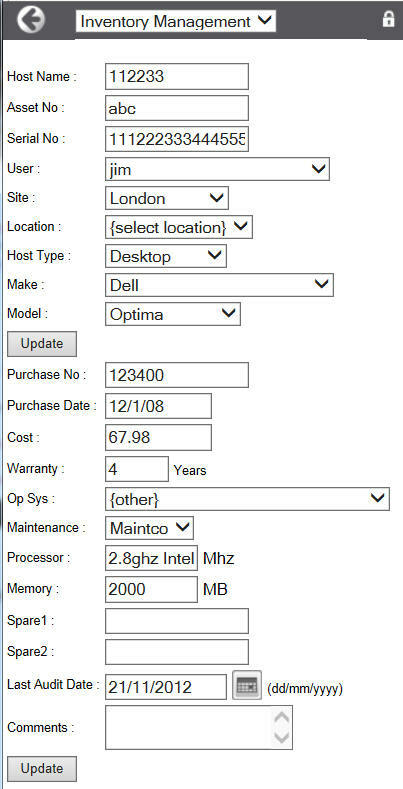 Quick enquiry from your mobile devices allows flexible audit of PC's aor any other inventory type. Far more flexible than bar code scanning alone is the ability to update all the inventory records as you go, with current user, location etc and flag when audited. Can't find the item? Add a new one. Keeps inventory right up to date. Used by IT departments, Facilities management and Service Industries who manage inventory for themselves or a customer.